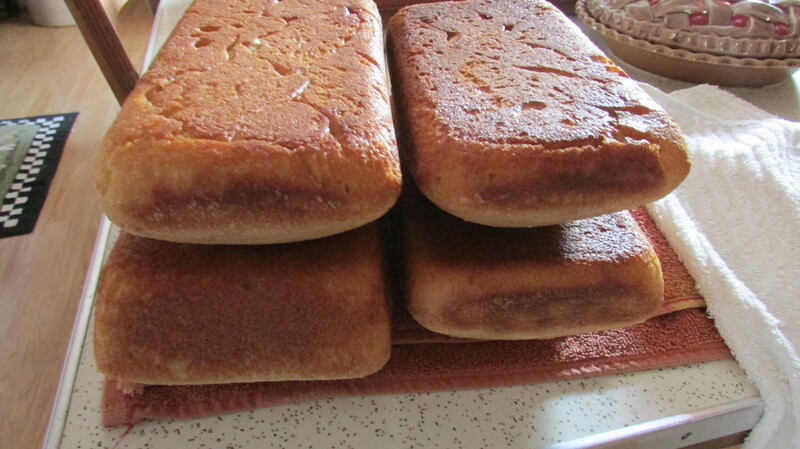 Four loaves of bread that the chickens will enjoy for a week. I’ll put out one load a day for them. The frigid weather we’re having will make the chickens eat anything in sight to keep warm.